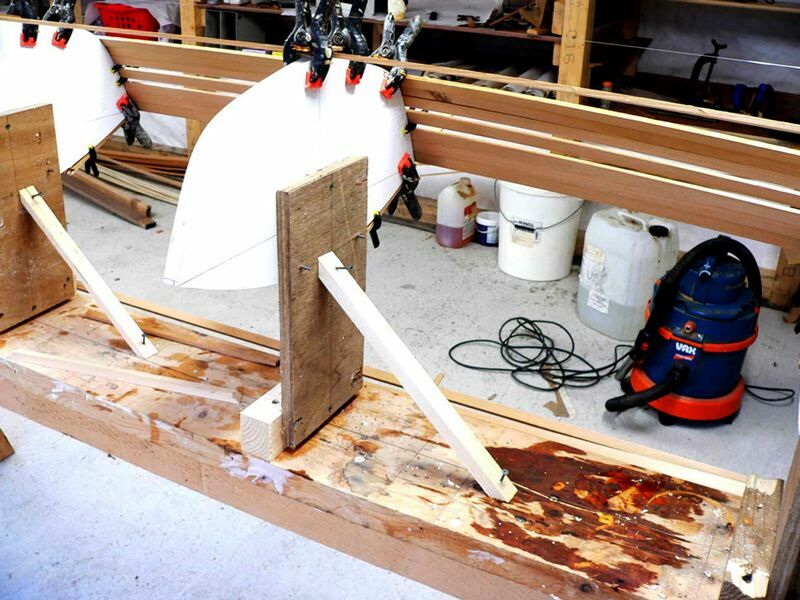 BUILDING THE POLE DANCER CEDAR STRIP SEA KAYAK 005 I support every upright perfectly vertical. setup accuracy is crucial to a trouble free project. Here the fishing line is visable running along the centre of the strongback. 005 I support every upright perfectly vertical. setup accuracy is crucial to a trouble free project. Here the fishing line is visable running along the centre of the strongback.